for a divorce is on the basis of irreconcilable breakdown of marriage. 5 years separation. (you do not require the other party’s consent). Usually the divorce process takes between 3 to 6 months. Usually court attendance is not necessary during the whole process. We can assist in resolving problems where the other party cannot be found; or arising from foreign and international marriages. To discuss your matrimonial matter contact our Family department today. 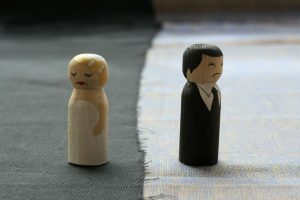 Here is a little more information about divorce from a legal viewpoint. Divorce is the legal dissolution of your marriage. Once divorced you are no longer legally married to your spouse. Certain rights and obligations come to an end but there may be others that take their place, such as an obligation to pay maintenance. There is an alternative to divorce that you may wish to consider if it is right for you. It’s called ‘Judicial Separation’. A judicial separation is an order made by a divorce county court which stops the partners of a marriage having to live together. In this sense it is like a divorce. However, the order does not terminate the marriage so neither partner is free to marry again (or enter into a civil partnership). A judicial separation is fairly rare and is usually considered by people of a religious disposition who have an objection to divorce. Should you require any of our services then call us on 0116 253 6856.